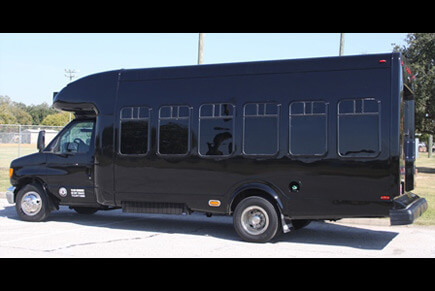 Perfect for small-to-medium parties of people and elegant enough for a wedding or similar event, this party bus is very popular in the Houston area. With an understated black-on-black exterior, it packs a big surprise on the inside. 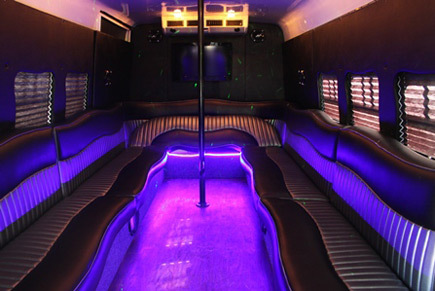 Newly updated, this party bus packs everything you would need for the time of your life!